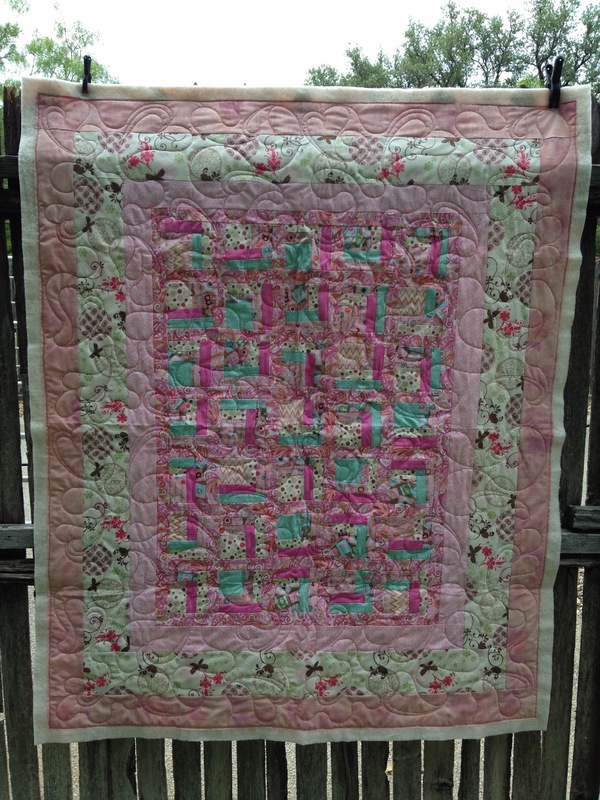 A little quilter's eye candy for you today. 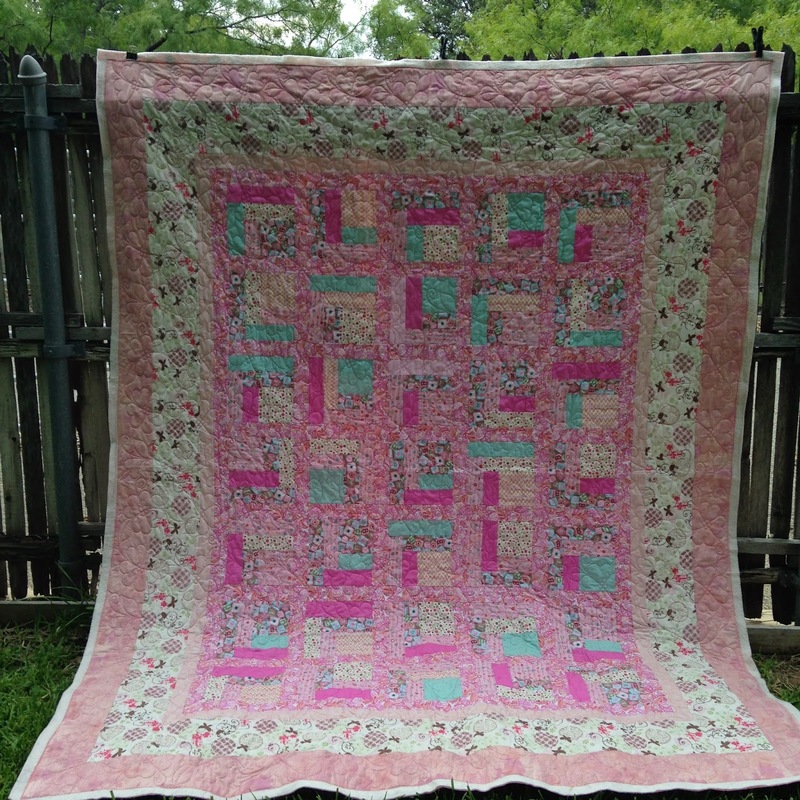 Dixie says this a UFO from "umpteen" years ago and has survived at least 2 moves so she thought she'd spring for some custom quilting. 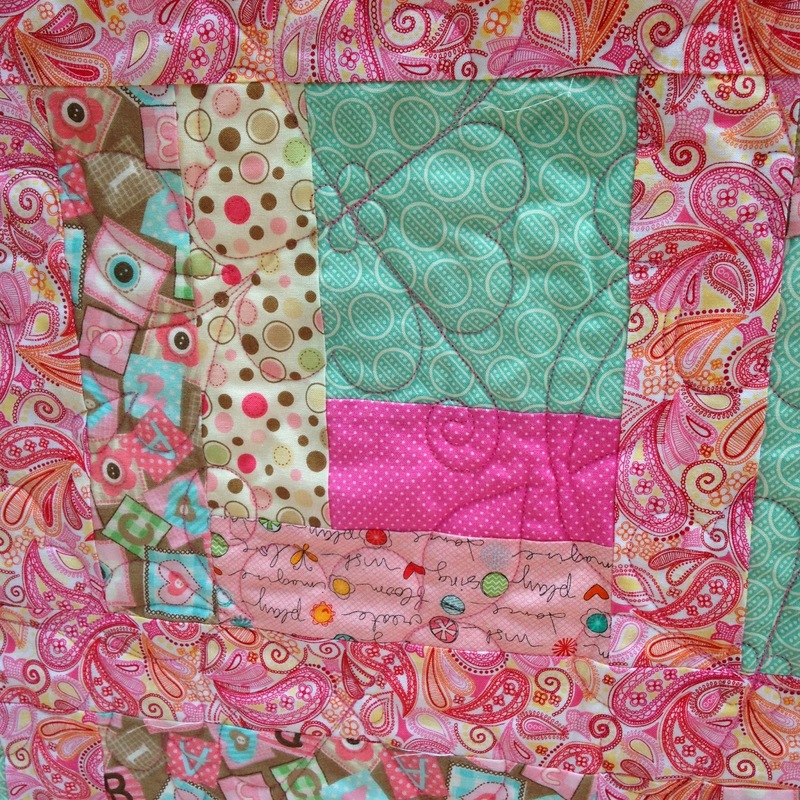 Rita made another baby quilt. 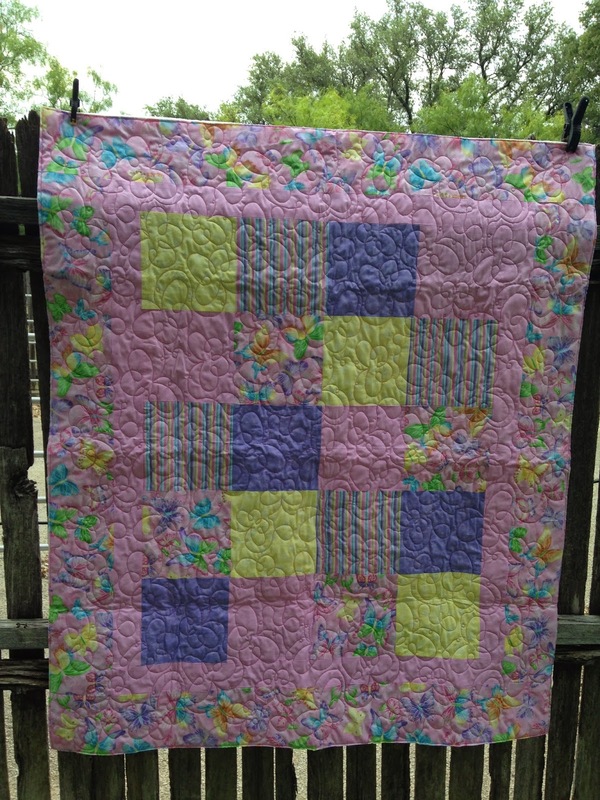 Simple but cute! 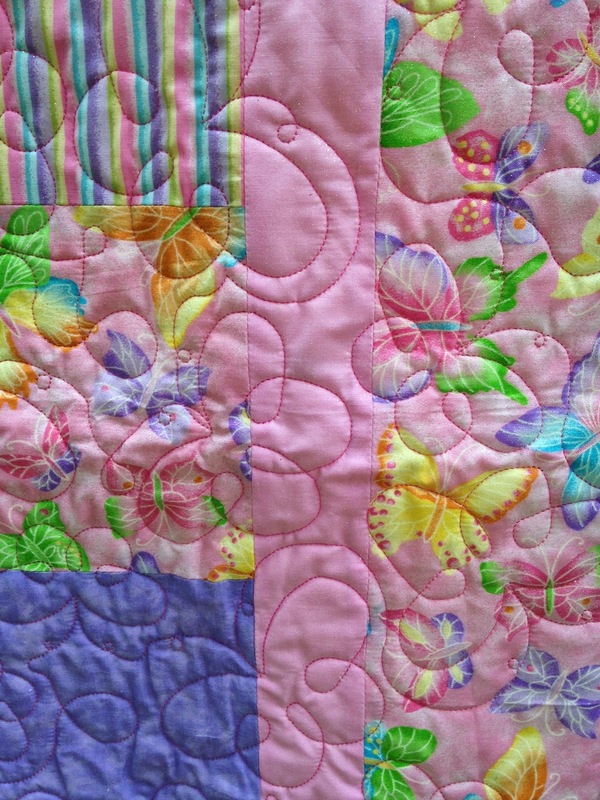 I quilted some pretty "butterflies" with Glide pink thread. 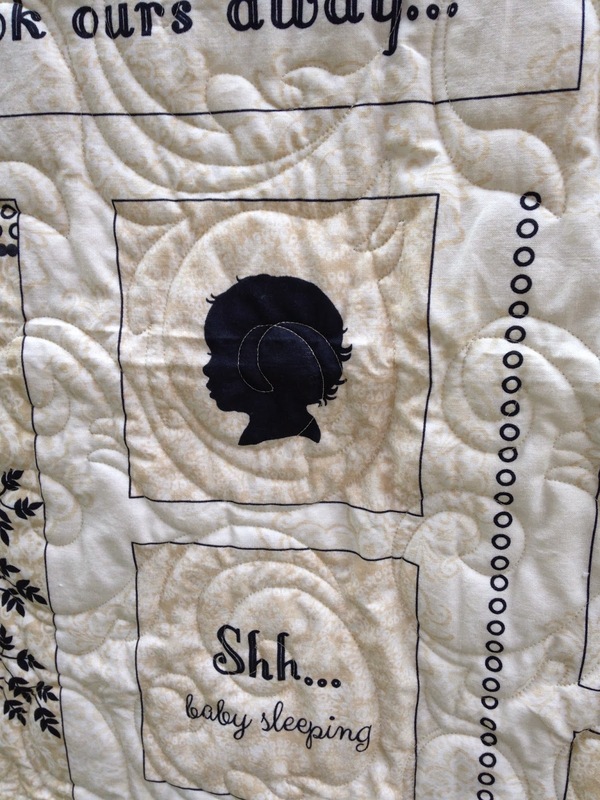 Laura made this baby quilt. 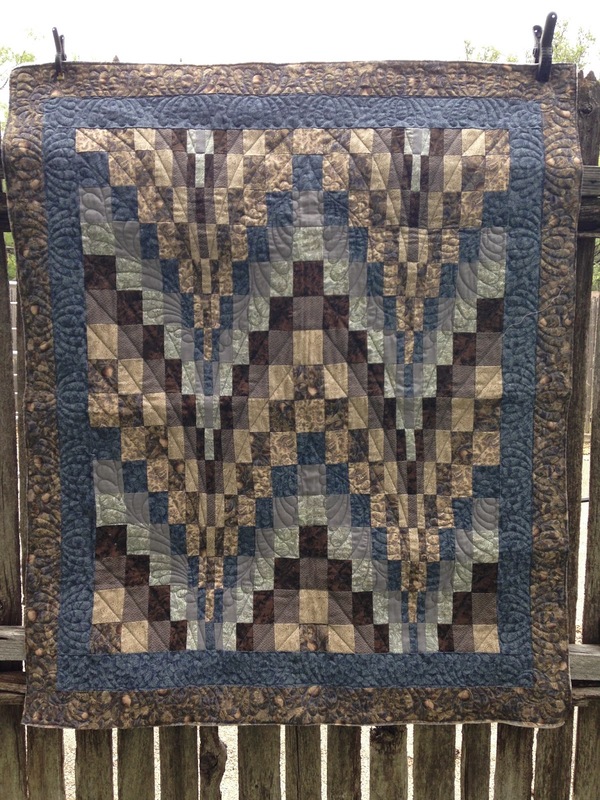 Another simple one using a panel. 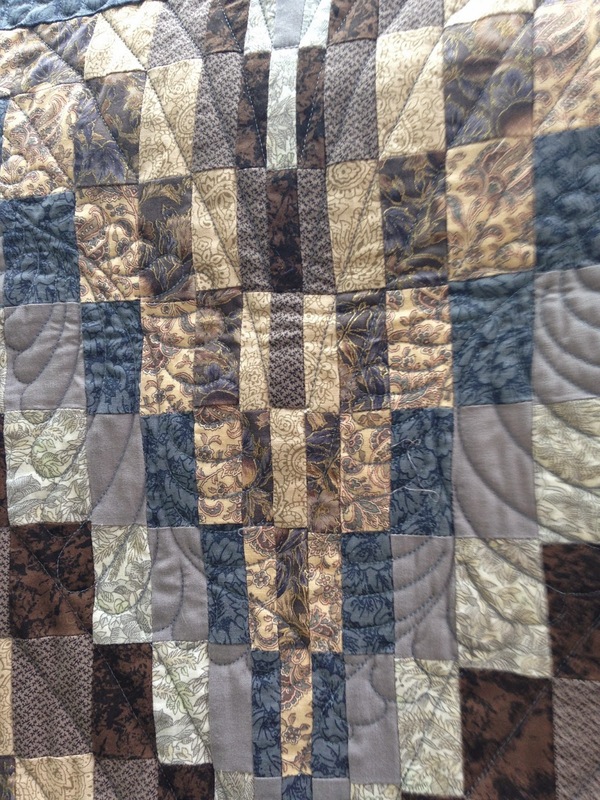 This pattern quilted on this baby quilt is called "Eternal Flame" in ecru thread. 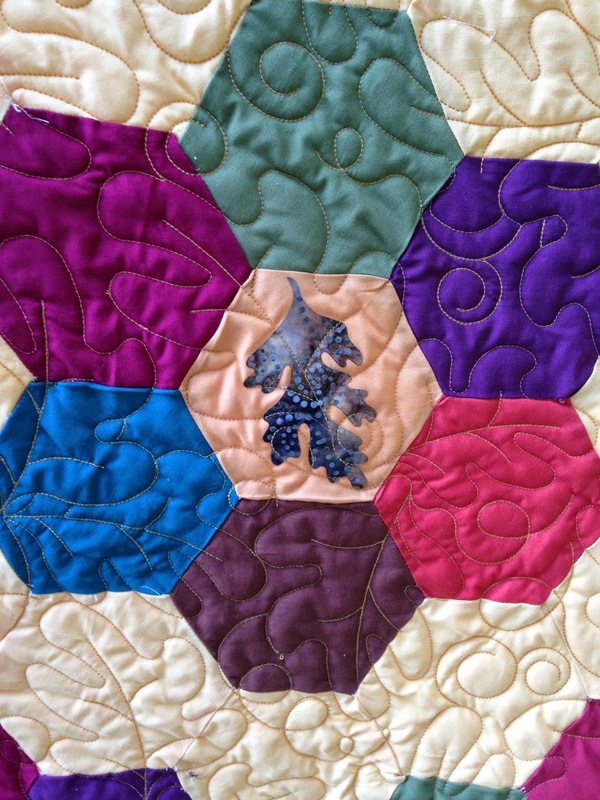 Laura also made this hexagon quilt and put an oak leaf in the center of each hexi. 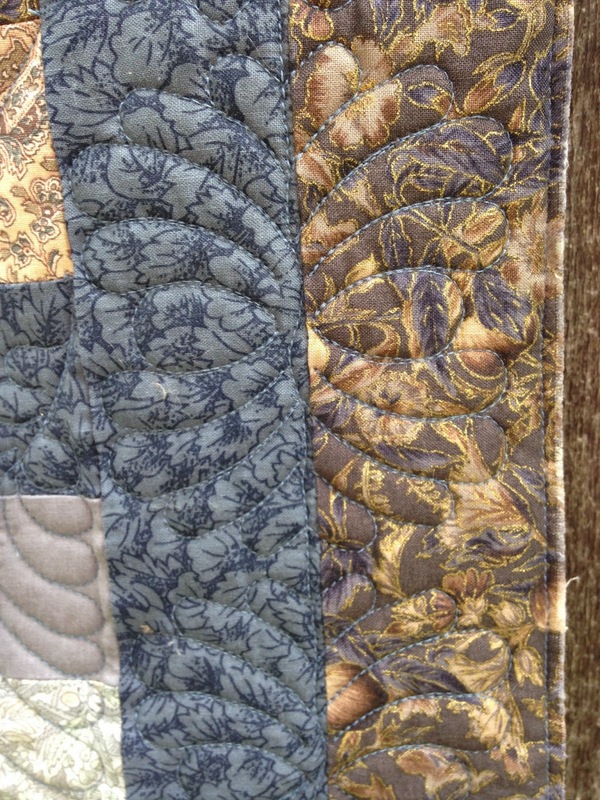 So I quilted swirling oak leafs in honey thread on it. 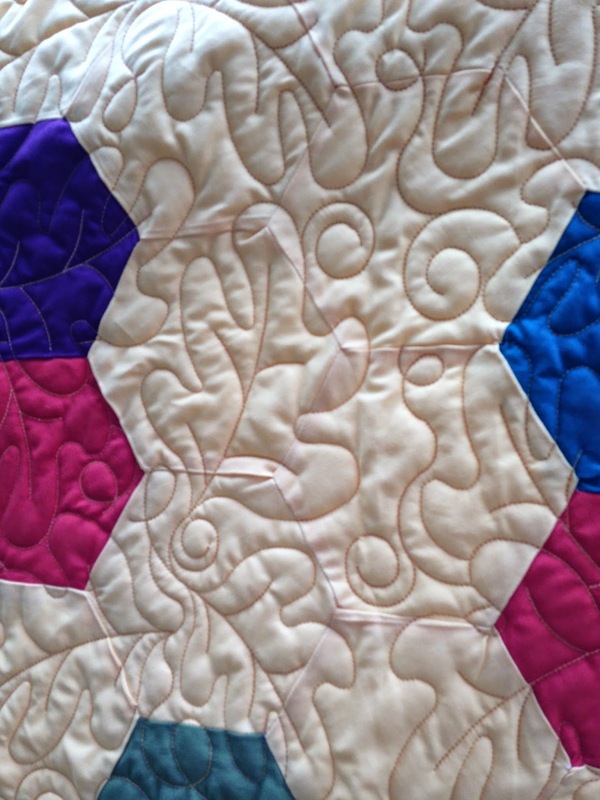 Mary Jane was commissioned to make the next two quilts. 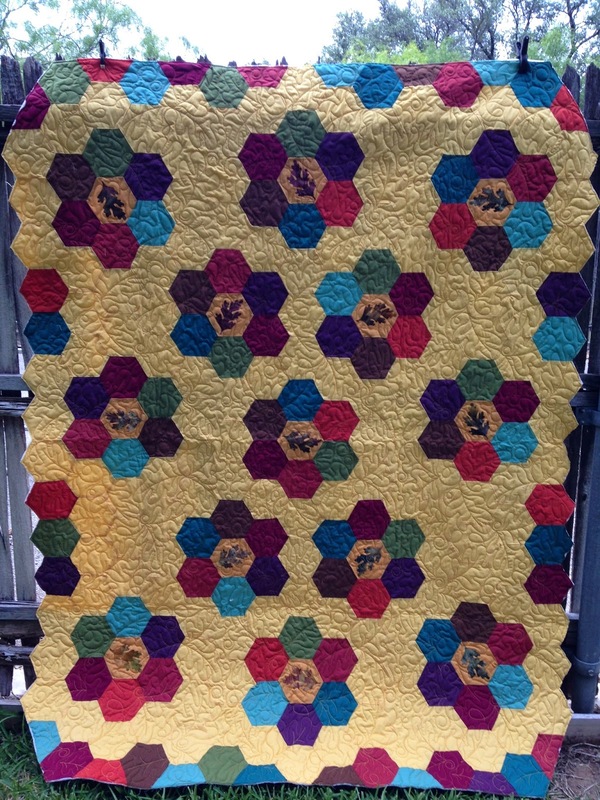 This one is a baby quilt for the baby. 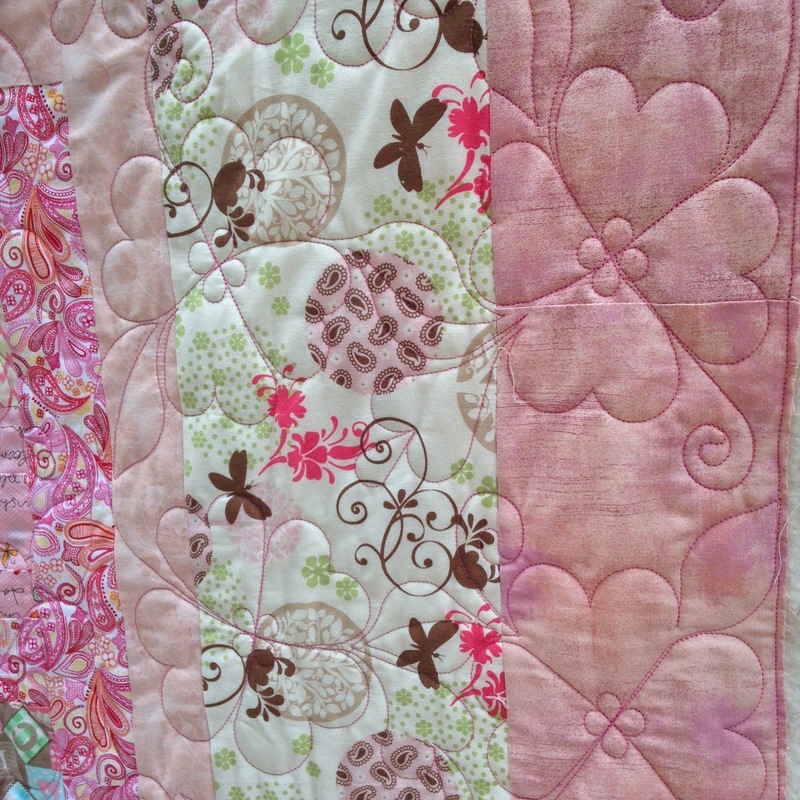 I quilted hearts a flutter in Glide pink thread. 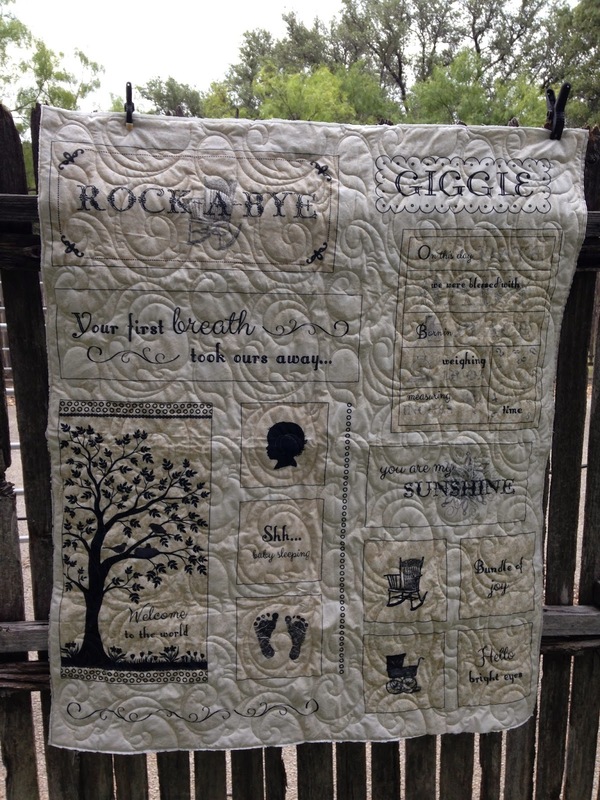 And this one is for "momma" to put on the full size bed in the nursery. 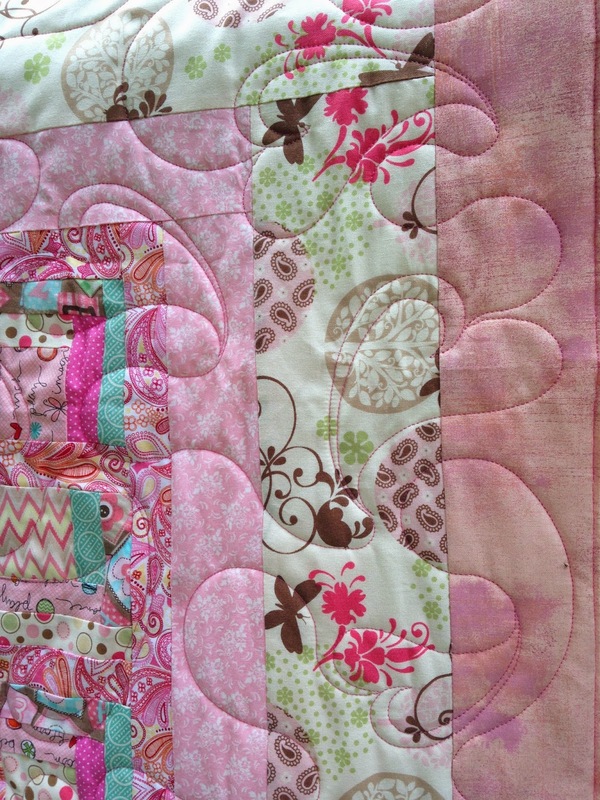 I quilted "sweethearts" in Glide Passion Pink thread.